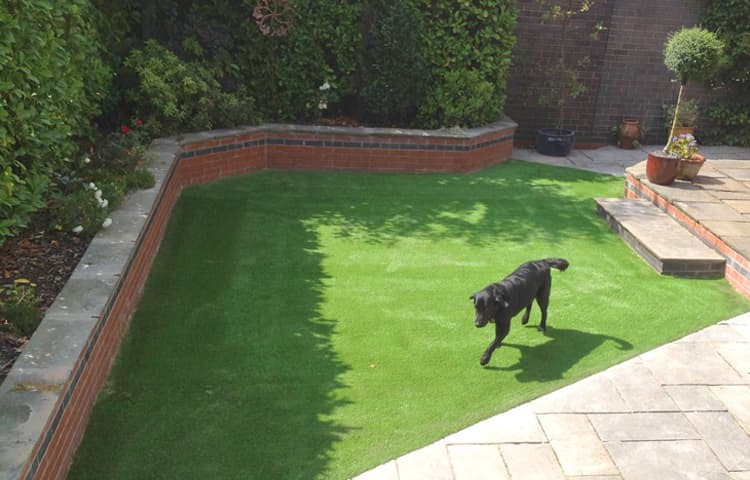 Unreal Lawns supply and install artificial grass in Preston and the north west of England. We serve domestic and commercial customers in the area, with products suitable for a wide range of applications from outdoor spaces and gardens, to event areas, exhibition space and more. See below for some examples of projects we've carried out in the Preston area. 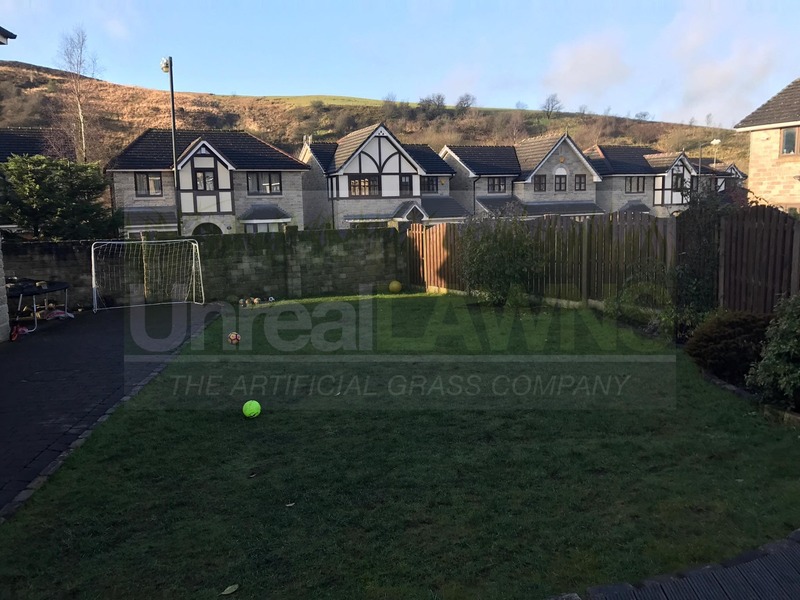 The team at Unreal Lawns were approached by a family in Preston, Lancashire about the possibilities of fitting an artificial lawn in their front garden. 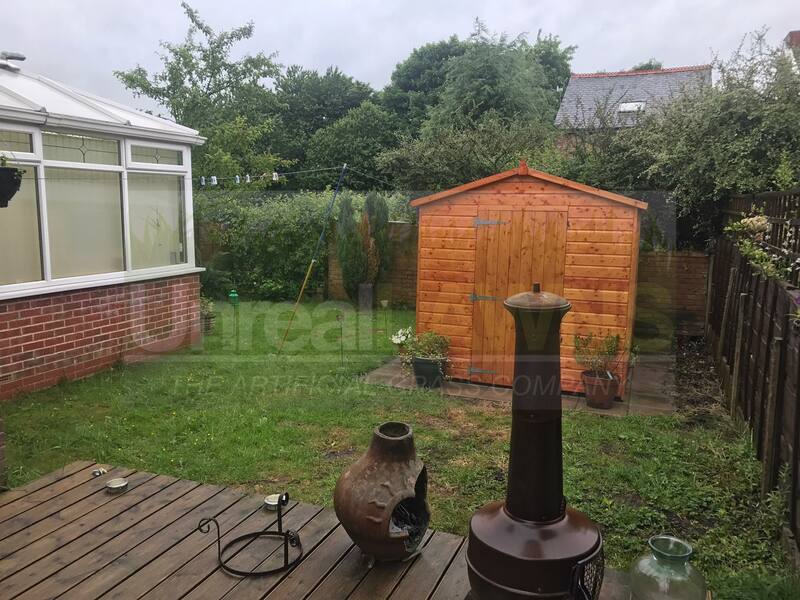 They have both children and pets, but with the front garden being completely paved and a very small back garden it left nowhere for them to get outside and play. After visiting their home to view the garden we suggested replacing the paving slabs with our luxury artificial grass which gives a very natural look with tones of both green and brown. This product is both child and pet friendly and will allow for both the children and the pets to play outside without the fear of them bringing mud and dirt back into the house. The whole family were thrilled with the final result and are now enjoying their new look front garden where they can let the children play safely. Unreal Lawns were contacted by a customer in Preston who wanted to surprise his wife with an artificial grass installation while she was away on holiday. Their rear garden was a lovely space but the lawn had become very patchy and worn out. We installed our Luxury 35mm artificial grass in its place. The result is a neat and green lawn that will require no maintenance to keep it this way. Needless to say, the wife was delighted when she arrived back home and saw our work. Unreal Lawns were approached by a customer in Preston whose lawn had become heavily waterlogged, preventing the children from enjoying it. We installed our Luxury 35mm artificial grass in place of the boggy lawn, creating a neat and green space that will remain this way all year round.